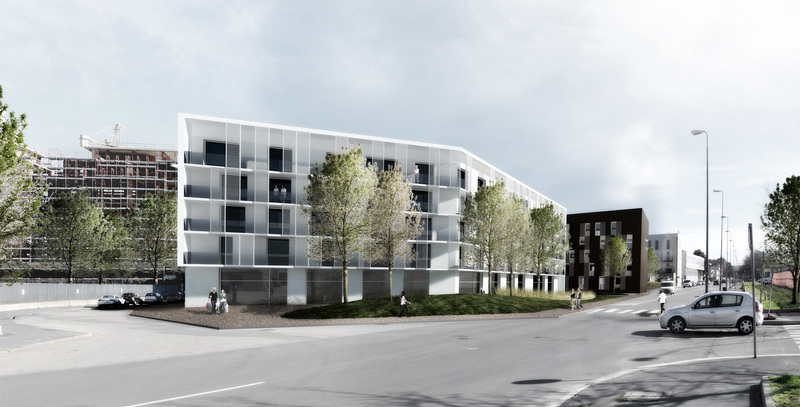 Expression of sophisticated architecture but respectful of local tradition, the project of the New Residential Building is configured as a high-impact urban requalification. 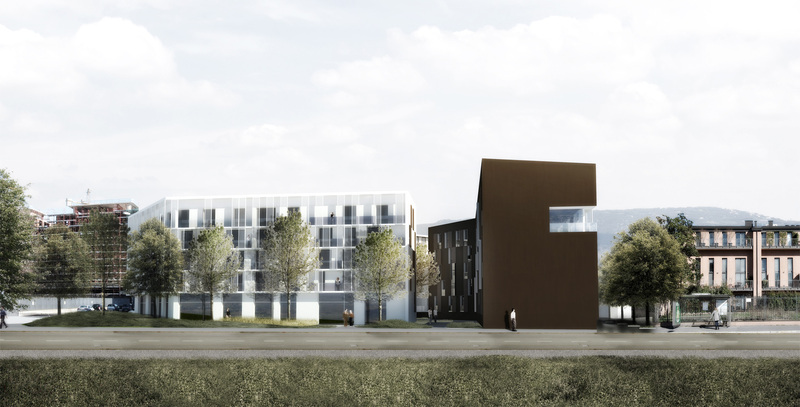 The project area, in fact, is situated in a district of the first outskirts of Milan, location of an ongoing reorganization with residences, retail and offices. 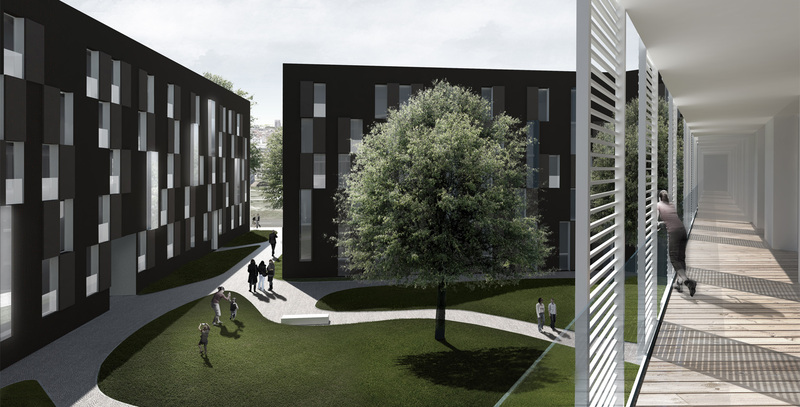 In addition to the 100 apartments, the residential building includes, at the groundfloor, commercial spaces, a big interior and private courtyard that provides direct acces to the residential buildings, 150 underground parking spaces and external green areas that surround all the project site. 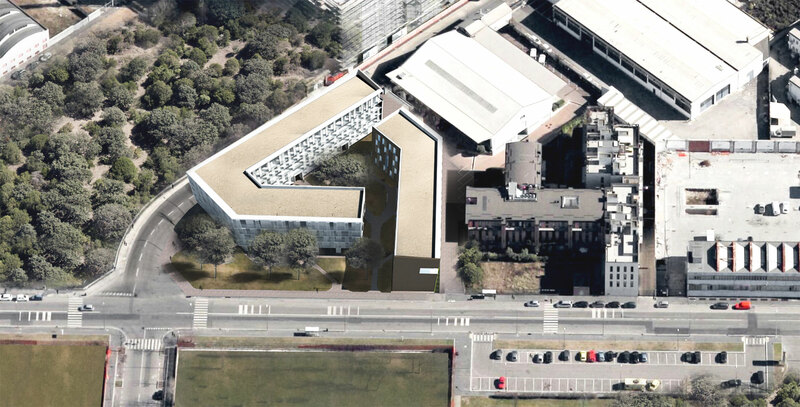 The building has a triangular plan form that responds to the geometry of the site and marks the corner of the area. This shape and its position guarantees the possibility to gain a double view for all apartments which are characterized by big balconies to maximize openings and enhance their residential quality and value. This large amount of livable open spaces provide high energetic performance to the building. Furthermore, the study of the orientation of the apartments led to a distribution of the interior where the radiation during daytime is maximized and the arrangement of the windows to the south is aimed to facilitate the passive use of solar energy. The use of a performing facade permits the containment of the heat dispersions limiting, greatly, the environmental impacts.